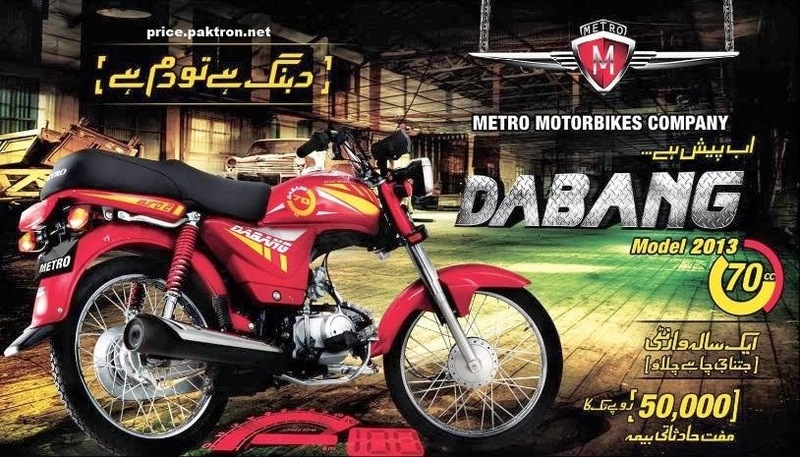 Bikes are very popular in Pakistan every-body wants his own Bike Because, fuel rates are very high in Pakistan so it's not possible for everyone to manage cars with other expanses. 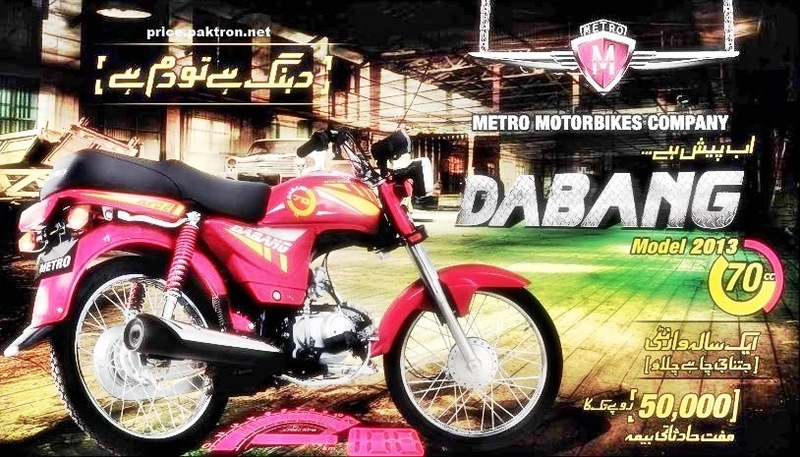 In Pakistan, there were many companies who provides bikes like Honda, Hero, Road Prince, Suzuki and many others. 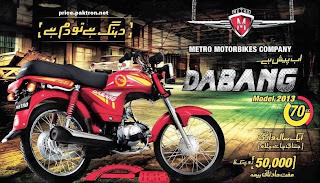 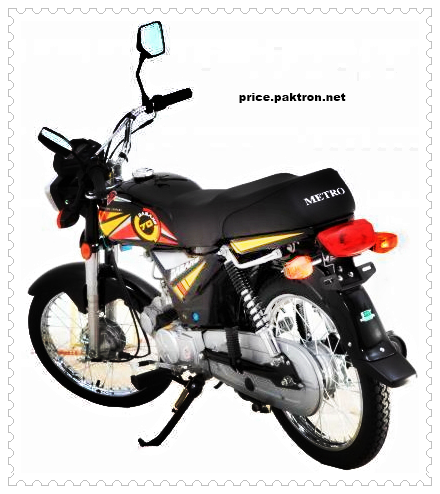 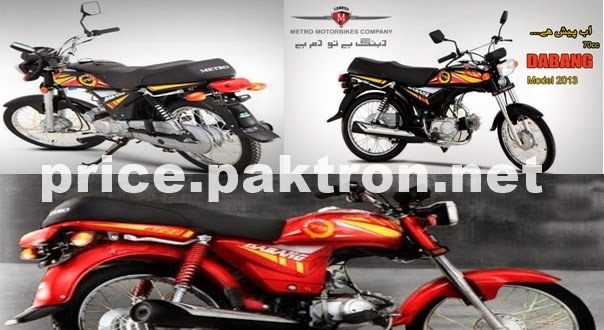 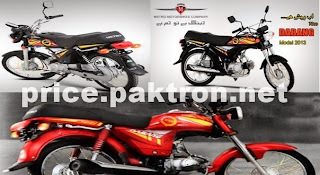 This time Metro Introduced his Dabang 70 cc bike in Pakistan very reliable, simple and stylish comes in two colours Black/Red.